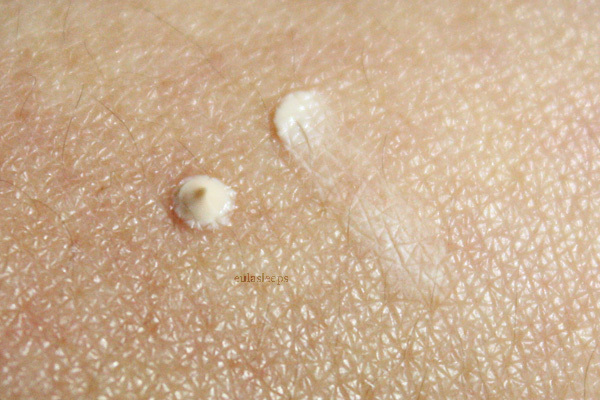 I don't know if it's just the product drying up or I never noticed it before, but my usual Etude House Proof 10 Eye Primer balls up on me. 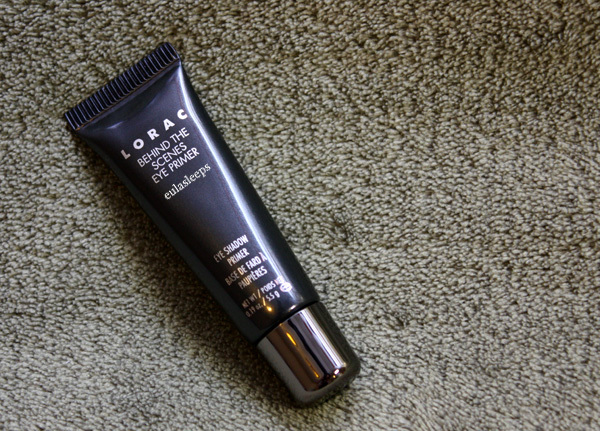 So I ditched it in favor of the Lorac Behind the Scenes Eye Primer. This is a mini size (5.5 g) that I got with the Lorac PRO Palette. Which reminds me, Ulta has this palette as part of their Lorac Rockin' Red Hot PRO Set for only US $39! That's a palette, eye primer, and eye liner for less than the cost of the palette alone. Great, great deal. 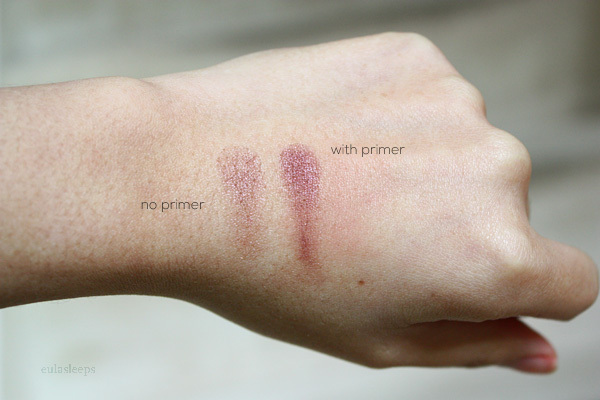 So anyway, this primer. 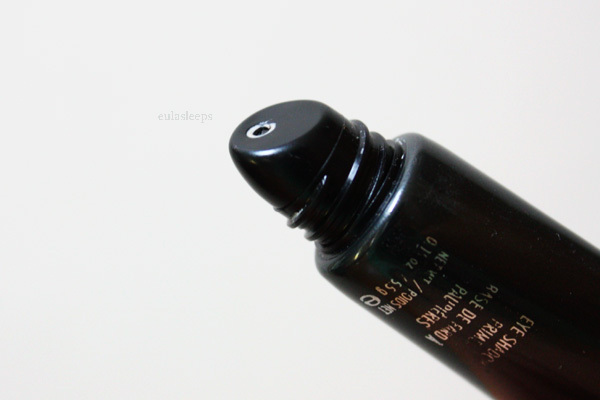 It applies SO smoothly, brightening my eyelids and obscuring my many veins. It dries matte and really intensifies the color of my more sheer shadows, like the NARS one pictured above. It also lasts all day on my oily lids. I once wore it to the Busch Gardens amusement park, ran around for 6 hours in 85-degree heat, boarded more than 5 high-speed roller coasters, and rode a splashy water ride -- and my shadows stayed put. I was impressed. Ironically, when I'm indoors at the clinic or hospital, I notice my lids are oilier and I see some minor creasing by sunset. If I had one complaint it would be the slanted tip packaging, which results in some product wastage. Substitute this with a thin nozzle and it would be perfect. I'd buy a full size of this but my credit is crying and I'd like to try other primers. (I love that minis actually allow you to use up the product!) What's your favorite? The Lorac Behind the Scenes eye primer (14 g) retails for US $21 (~Php 906).